Come watch your friends/family/cell-mate show off their mad new skills of Stand-Up Comedy! 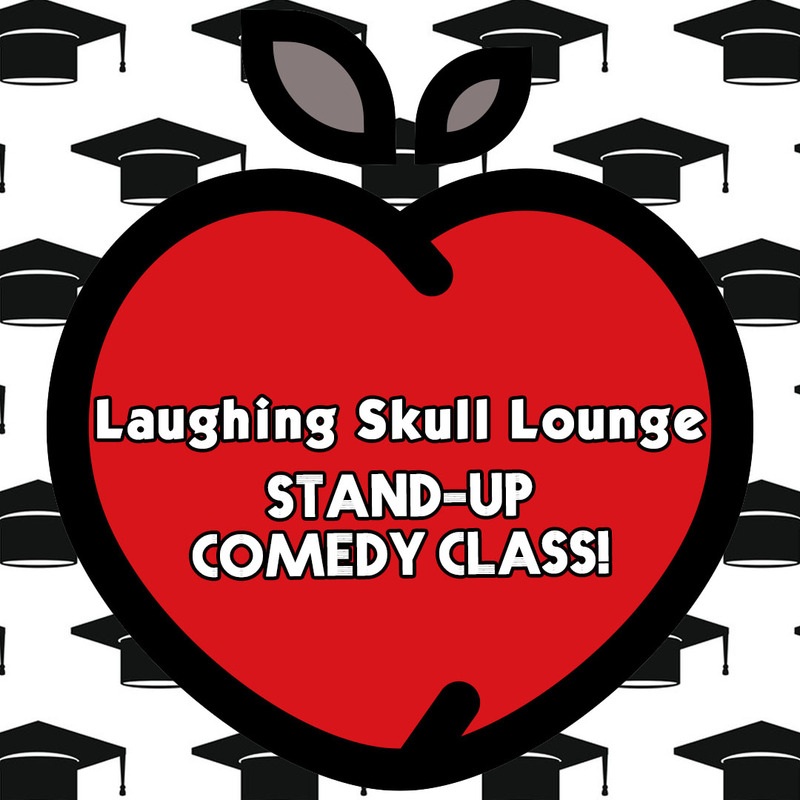 These are the graduates of 'Stand-Up 101 Class' at The Laughing Skull Lounge. These funny folk have spent 6+ weeks trying to make up for their bad childhoods by making jokes about it. So come support your buddy live out their dream/nightmare. Our classes fill up fast, so get your seat today! Kareem Chapman, aka Plug McEnroe hails from East Point, Georgia, born on November 20, 1800. Chapman was a kid with a natural sense of humor who grew up cracking jokes on his family members and classmates. By middle school he had earned the title of class clown. His first time on state took place at Fort Valley State freshman year in college, when he hosted a popular dormitory talent show. He had an epiphany and realized that he had the gift…he could make people laugh. He would transfer to Valdosta State where he discovered that he wanted to pursue a career in artist management and development. He worked as a radio host on V-91 as well as hosting various events around campus. This exposure allowed his comedic talent to come to the forefront. All too quickly, life happened and Chapman found himself expecting his first child, forcing him to take a job as an overnight cashier. In-spite of the mediocre job, his humor was always in the forefront. He kept his customers entertained telling one joke after another until one night a popular comedian from Atlanta, Dirty South, came into the store. After watching him interact with several customers, she invited him to a comedy spot where he could showcase his comedic talent. A severe case of stage fright prevented him from doing the show. As fate would have it, he moved to L.A to pursue music only to find his passion had began to die, One afternoon, he went to an open mic night at the Ha Ha Café in North Hollywood. He managed his first night jitters, went on stage and put on a great show. Everyone needs a launch pad, and this was his.